I'm a programmer and game developer with over 7 years of experience coding. I've created over 30 games across various game jams and hackathons, and I enjoy learning about tech. While most of my experience comes from gamedev, I also like working on other kinds of projects like websites, apps, and experimental programs. 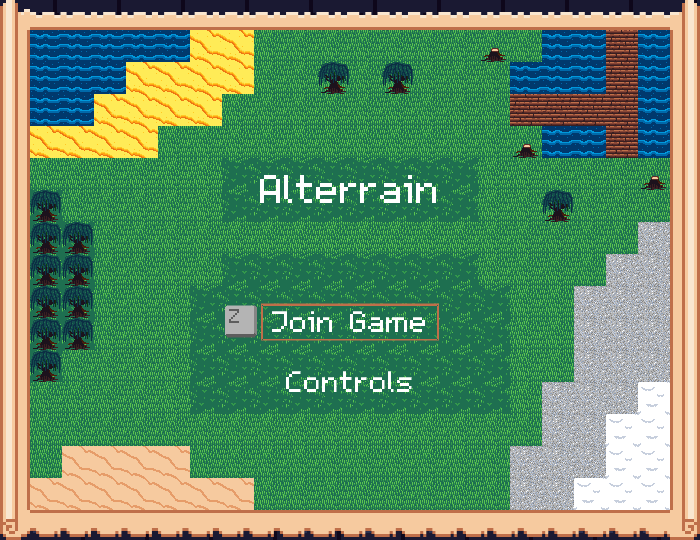 An online multiplayer sandbox exploration game. Players can work together to explore a procedurally generated world of islands with treasure chests, which give various kinds of tiles to "paint" the land with. With so much water in the world, players will have to coordinate and make bridges to reach more treasure chests. An arcade-style game inspired by Space Invaders and Billiards/Pool. 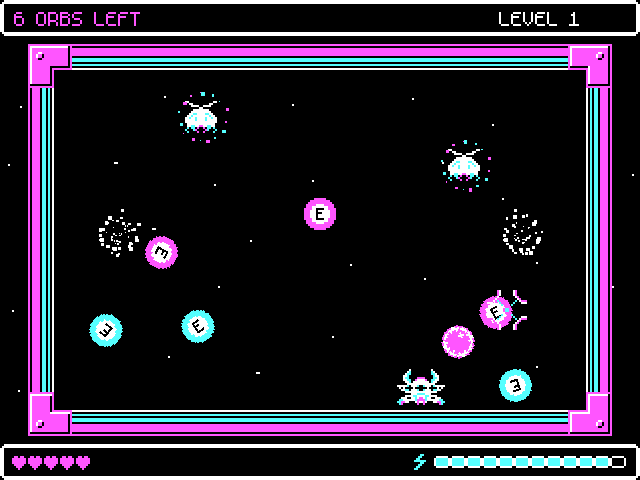 Move your spaceship sideways, sink the enemy orbs by knocking them into black holes, and destroy the aliens. 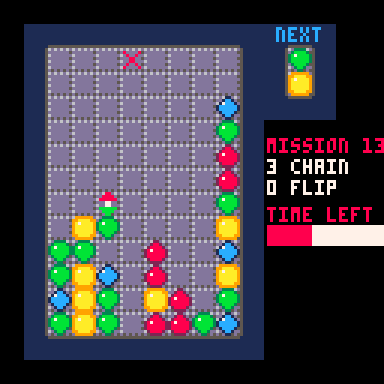 A puzzle game where you must drop pairs of gems onto the board and match together 4+ gems of the same color in a sequence of chains/combos to complete the missions. A special arrow tile will flip the board, allowing for more complex combos. 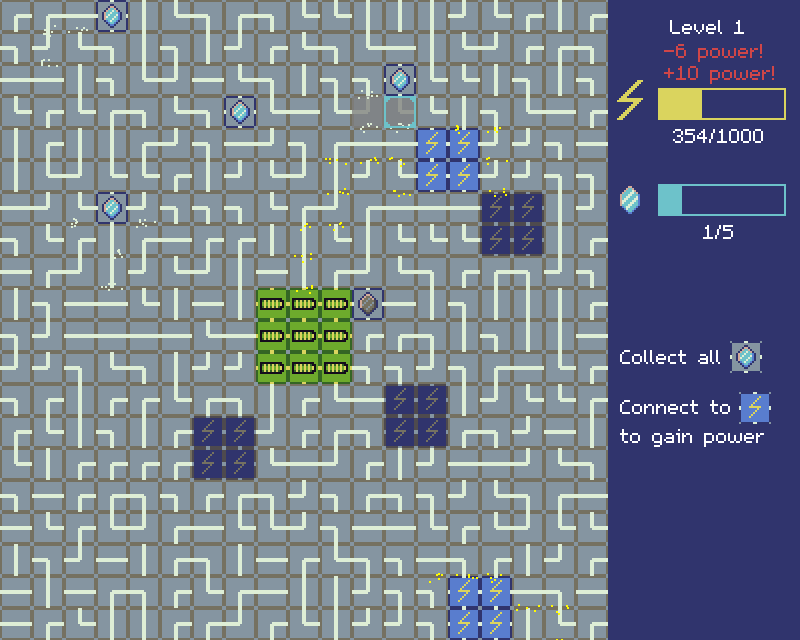 A puzzle game where you must collect diamonds and maintain power by swapping tiles to connect your central power source to diamond and generator tiles. I run a blog where I write about any gamedev-related work I do on a weekly basis, sometimes more.